The structure of a good sale nowadays is the system based on the network. That is, it is an online sales system. Online Sales is the act of purchasing products or services across the Internet. The online sale has developed in popularity over the years, mostly because public get it suitable and effortless to bargain shop from the comfort of their home or office. Consumers do not require to come directly to the spot to buy the desired goods, they can buy their specific item anytime and from every place as they wish for, for merchant also its like cutting expenses, they can set up their business or product to everyone not only in one place without having to open the branch or office. Normally women will choose the best things among the rest based on certain criteria. However, too many products will distract their attention and end up by leaving the website without making any purchase. So, make your wise decision in providing the most products that could allure their attention to visit your website. Research has shown if they spend more time on a particular website or mobile site; they will finally purchase something. Therefore, give as related information from your product as much as possible to the customer. If you recognize what your customer is looking for, then you can provide products that could be appropriate for the customer. Basically three products are sufficient for them to make their final decision. Research from ComScore’s quarterly State of Retail report has shown that the consumer range from 18-34 are those who spent more time on online sales and they spent around $2000 annually for online shopping, even though their income is much lower compared to the older adults. Of course, this is due the changing in the social lifestyle in almost all over the world. Women mostly attracted to the beautiful and cute things. So, you can use your creativity to customize your website with beautiful and nice fonts, images, videos and so on. But video sometimes will make your page run very slow. After customizing everything, don’t forget to test your own page through website and mobile, and check whether it runs smoothly or slow. Normally visitor will leave the website and not willing to wait for the website to load more than 15 seconds. Remember, be creative and try your best to lure them to your website and it will definitely increase your sales at the same time. The first thing that you need to do in order to keep your potential buyer to start scrolling up and down and go through to the relevant information in your website. How? Try to capture their interest by alluring them to sign up to the membership and reward them with 15% discount on the first item purchase as a complimentary gift. It’s really interesting. This strategy will encourage them to buy because their aim is to get the 15% less. Then, you will be successful in convincing them. Next step, promote your website by giving weekly or monthly discount, so you will be able to keep in touch with them. In fact, they will keep visiting your website to check for the latest discount and promotion. The best thing is that, they will promote your website to their friends, cool isn’t it? This is the important criteria that customers are looking for in many businesses. Unfortunately, most buyers don’t want to take the risk to delighting their customers. The customer is spending time to search the information regarding their desires in your website or mobile page. Then, why don’t you try to help them to figure out their specific items, so it will be easier for the both parties. For example, as a housewife, your customer might not have much time to search for many products at the limited time, so you can assist them in the live chat area. You can install the software and track your customer’s activities and ask them whether you could assist them in anyway, maybe to suggest the newest product, the best buy product or a lower price product based on your customer’s preferences. By doing so, the customer will find that you are very helpful and it could minimize their work. Then, they will start spreading the news to the social media, and you will get more customers -in other words, your sales also will increase. Imagine when you are asking people related to some issues, you must expect the quick response from them right? So, why don’t you try to give quick and prompt response to your visitor and potential buyer? Build a good reputation beforehand. So, it will be much easier for you to grab their attention later on. Be alert, and check your email, SMS, Whatsapp, and Facebook page regularly. Always response promptly and gives clarification to the customer. Make sure not to let them to be upset or lead them to another seller. There are many applications that are very useful to drag customer’s attention to spend more time on your website and make them interested to purchase your products. For example, Albaloo. It`s a very useful application that can help you to find the hot sales and deals which are near to you to help your customers to find the hottest selling items around your customers from their mobile and tablet every day. The GPS system will automatically find the best shopping deals and will lead customers to the desired destinations. For those who are still not sure about the certain products, they can take a look at the reviews of the deals and items or even personally contact the seller on the spot. Albaloo is among the trustful application and you can easily get it through the iOS or Play Store. Advertisement is very important for the seller to gain more buyers and visitors to their website. However, overwhelming ads will definitely irritate most of the customers, especially when it keeps popping up on the monitor. Minimize the ads and if it`s possible, just provide the most useful and informative ads to the visitors. There are many ways to increase online sales, depending on how you play your roles in implementing necessary action. Customers are becoming wiser and difficult to read their mind. So, try to put yourself in the customer’s shoes and you will get the answer. 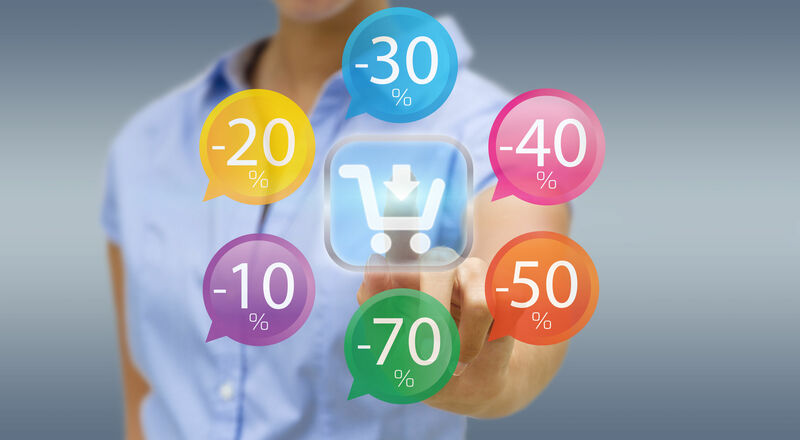 The online Sale system is an online key for managing orders. It provides simplest and quickest method of finding and buying the stuff. And it’s so convenient way for both sides, either buyer or seller, they can use simple, easy and quick application for shopping or selling like Albaloo, which is the new simple free application that all the people can use and sign up and experience the new way for shopping. Selamat Hari Kebangsaan Yang ke 59!